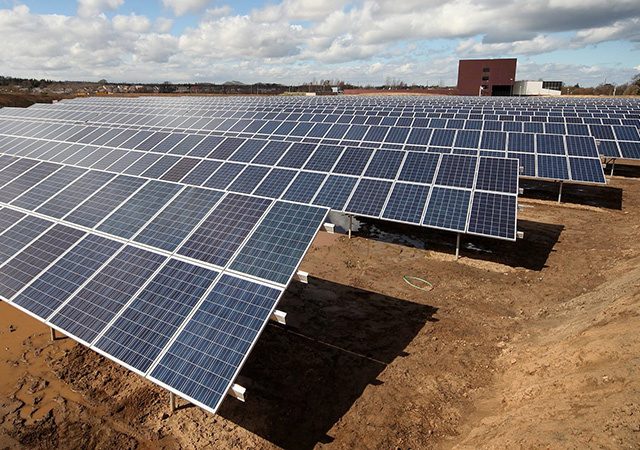 Oil and gas giant Shell has announced the growth of its solar power portfolio with a second major investment in 2018. Shell has signed an agreement to acquire a 49% stake in renewable energy company Cleantech Solar. It said the deal would provide Shell with an “immediate path to an established commercial and industrial platform” in Southeast Asia and India. Singapore-headquartered Cleantech Solar will continue to operate under its existing management and name. The deal is expected to close in January 2019. Marc van Gerven, Shell vice president of solar and storage, said: “We are very impressed by Cleantech Solar’s record of developing lasting relationships with multinational and regional corporations who are eager to implement subsidy-free renewable energy into their corporate strategies. Last week, Shell Energy Europe announced it has agreed a power purchase agreement (PPA) with UK solar firm Octopus. The deal will see Octopus supply power from its 70.5 megawatt (MW) portfolio of unsubsidised Italian solar assets. A five-year fixed price PPA, the deal covers six of ten total projects agreed under the PPA, which should be completed in early 2019. Cleantech Solar’s chairman and founder Raju Shukla said: “I’m very excited by what this agreement with Shell means for our company’s mission. From the day Cleantech Solar was founded, we wanted it to become the most trusted provider of solar power for the leading corporations of Asia. “This partnership with Shell, a global energy company, brings their resources and capabilities as they build a global renewable power business and it gives us a tremendous boost in our home region.